Polyolefins, a type of plastic, has become ubiquitous in modern life and can be found in plastic bags to paints, and from sporting goods to auto parts. But regardless of the fact that these polyolefins – organic polymers that comprise lengthy chains of saturated carbon-carbon bonds – have been manufactured commercially since the 1930s, there is still a need for more adaptable production processes. A chemist at the University of Houston has been given a five-year, $626,300 National Science Foundation CAREER Award to develop new techniques of making polyolefins in a cost-effective and sustainable way that also can be scaled up for industrial use. Loi Do, assistant professor of chemistry in the UH College of Natural Sciences and Mathematics, said the research will concentrate on catalyst design, looking for new approaches to manufacturing the polymers. While most late transition metal catalysts used in the making of polymers depend on one metal – generally palladium or nickel – Do’s design also contains a second metal. By varying the supporting metal, and the ratio of the supporting metal to the main metal Do expects to create a variety of beneficial soft materials. Other variables, such as pressure and temperature, could be controlled, too. Many existing processing techniques require both high temperatures and high pressures, raising the cost and energy intensity. “We hope we can produce the same type of products in a much more sustainable way,” Do said. 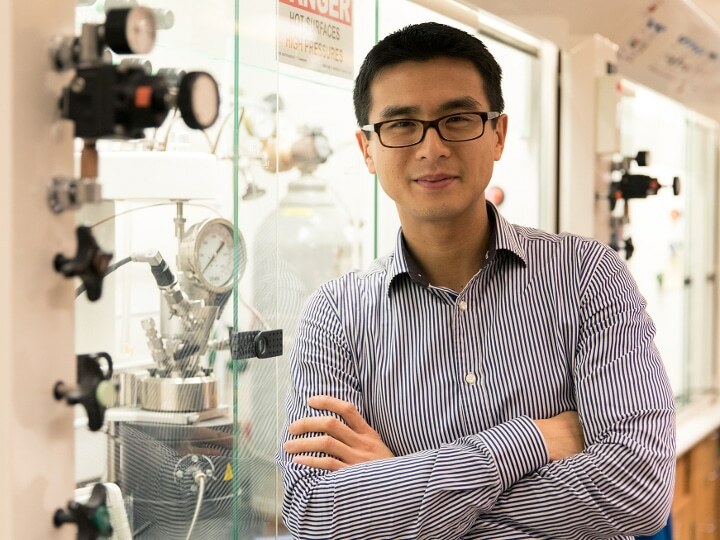 His lab will analyze both polar polyolefins – used for medical devices, sporting equipment, and other materials – and non-polar polyolefins, which are generally used in pipes, bags, and toys. The process would allow the resultant material to be more customizable and possibly even have novel roles, he said. We can take substances that exist in nature, or are byproducts of industrial reactions, and convert them to value-added products with minimal environmental impact. NSF CAREER awards consist of an education component and Do said he will make the most of Houston’s proximity to the chemical industry by inviting speakers from both government and industry to meet with undergraduate students “to get them excited” about chemistry. Research in his lab also gives students a real-world chance to learn about chemistry, he said, intending to build an academic support system to nurture interest in STEM careers. “Students who develop an inquisitive mind early in their education are more likely to become creative scientists and responsible citizens in the future,” he said.